Bruce Johnson has been building custom homes and developments for over 30 years. Bruce was licensed by the state of Florida in 1980 as a Residential Contractor. Establishing his business in the surrounding Tallahassee community in the early 80’s, he built many homes in the area. In 1983 Bruce built his first custom beach home at St.Teresa . Bruce’s passion to build on the Gulf Coast south of Tallahassee was influenced growing up around his grandparents beachhouse on St. Teresa Beach. 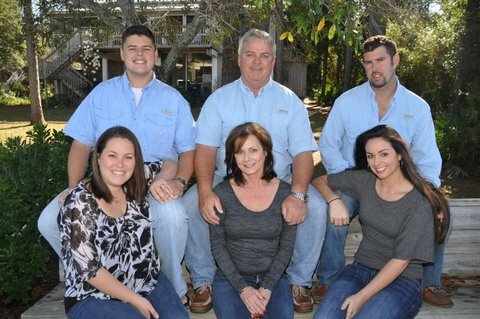 In 1997 Bruce and his family moved to the Forgotten Coast and established the business as one of the areas most reliable and successful home builders. Serving Franklin, Wakulla, Gulf, and Leon counties. Bruce is a full service builder providing new residential custom construction, remoldeling/renovations, additions, and construction management. Dedicated to providing top quality construction through its association with reputable job tested sub contractors, first rate construction materials, and close on site supervision. Our sub- contractors have worked with us for years and we maintain excellent working relationships. Special attention to estimating and job costing allows us to be competitive within the area market. Whether your project is a coastal home or a home off the coast, Bruce can provide detailed specifications and price based on our consultations.Contact us to make an appointment to discuss options in building your new home.